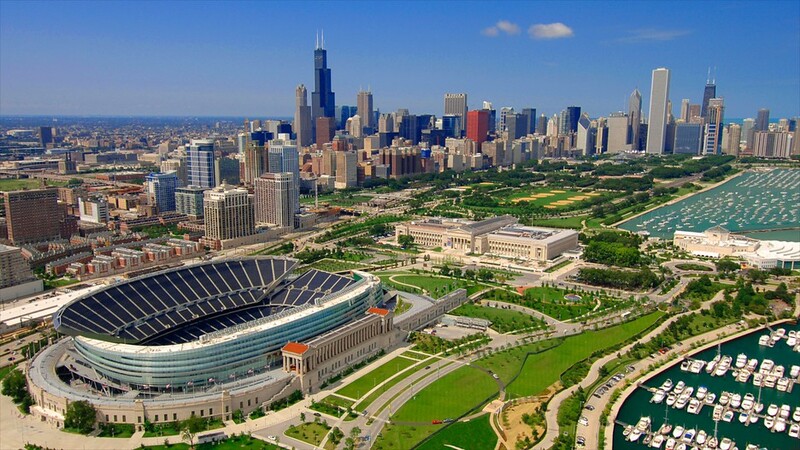 Planing for this massive structure started in 1919 for the 100,000 seat stadium that was to be known as the Municipal Grant Park Stadium, However the name was changed, The stadium was renamed Soldier Field, in honour of Chicago's war veterans that died in World War 1. 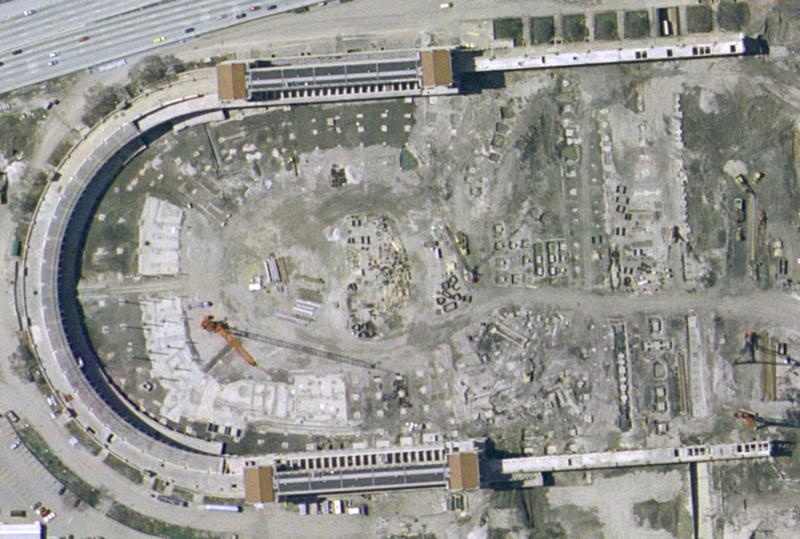 Construction began on Soldier Field in 1922 and was completed by 1926 at a cost of ten million dollars. Speedway racing comenced at the venue on the 19th of May 1935, in the form of midget racing, At the time the track surface was covered with cinders, a by product from steam engines. Marshall Lewis took out the first midget main event at Soldier field. In 1939 a 1/4 mile high banked timber board track was built to host the 1939 American Automobile Association World Championship Midget Auto Races, The structure cost $25,000 for the five race series, A $10,000 purse would attract racers from across America as well as locals. The five races were held on the 18th, 20th, 22nd, 24th and the 25th of June. The results were, Sam Hanks from California won the first two race's on the 18th and the 20th, The third event was rained out but was run on the following day, Mel Hansen won that event on the 23rd and followed up with another win on the 24th. The series final for the World Championship over one hundred laps was won by Ronnie Householder another West Coast racer. In 1941 the cinders were removed from the track and a new clay surface was laid. 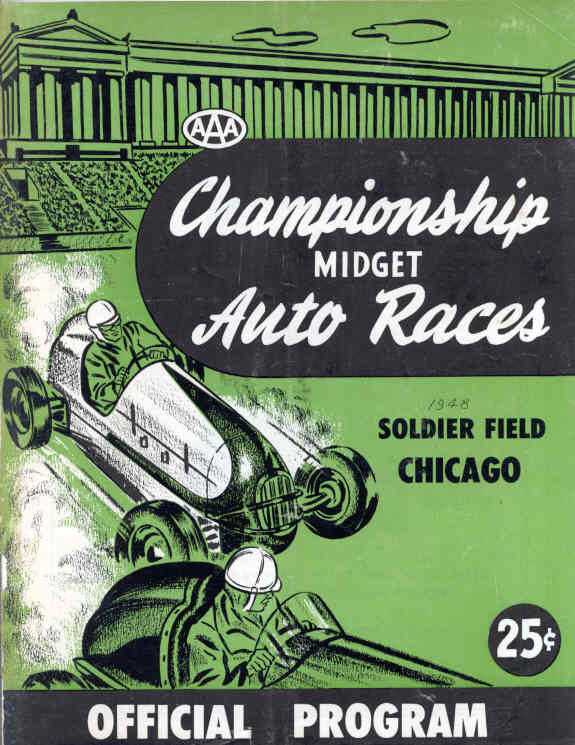 Just like most other tracks around the world, The second world war put a stop to motor racing in 1942, Post war motor racing returned to the venue with the major attraction being Midgets. 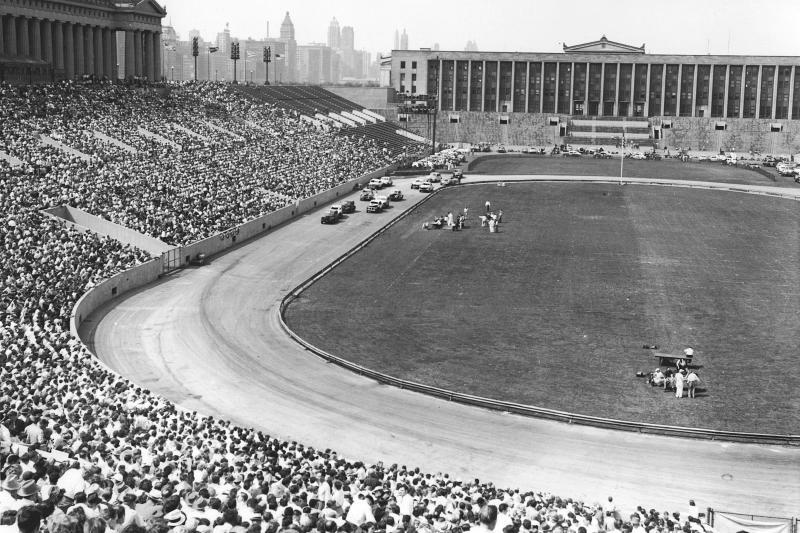 By 1946 the clay had been removed and the track surface paved, Midget racing continued at the venue up until 1968. Hot Rod racing was introduced to the venue in 1947, and continued through until 1950. Stock Car Racing replaced the Hot Rods in 1950 and this continued through until 1956 when NASCAR was introduced. 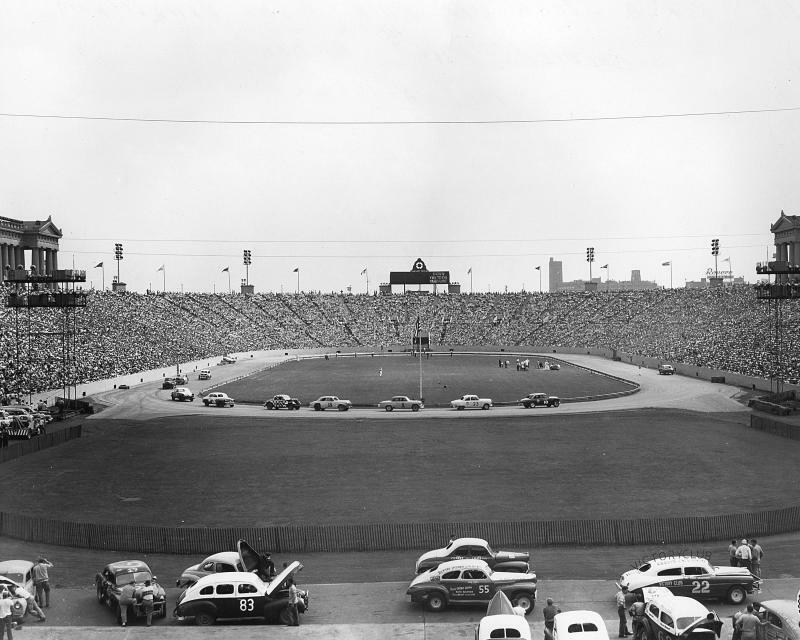 The first NASCAR race to be held on the 1/2 mile oval track was on the 21st of July 1956. Fireball Roberts won that race in a 1956 Ford, Billy Moyer had set the fastest qualifying lap to take pole. 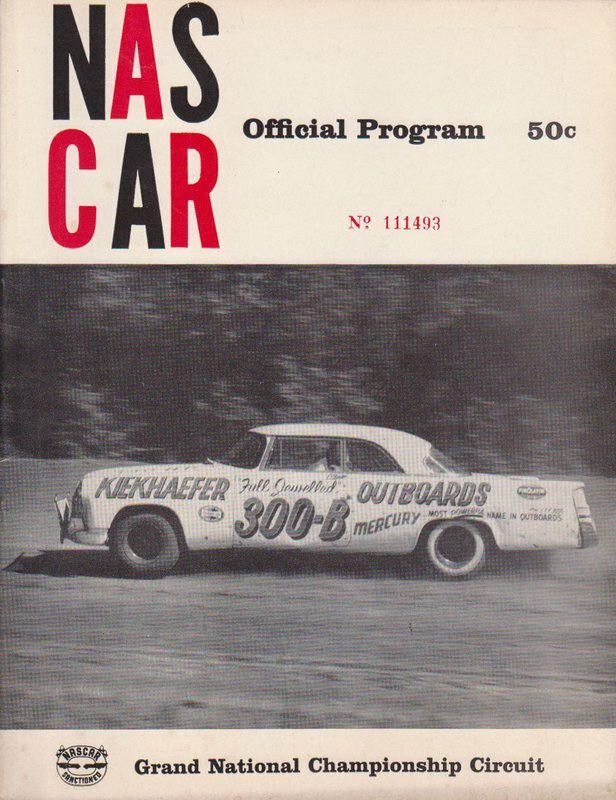 During 1967 USAC sanctioned eight short track events, these counted towards its National Stock Car Championship. 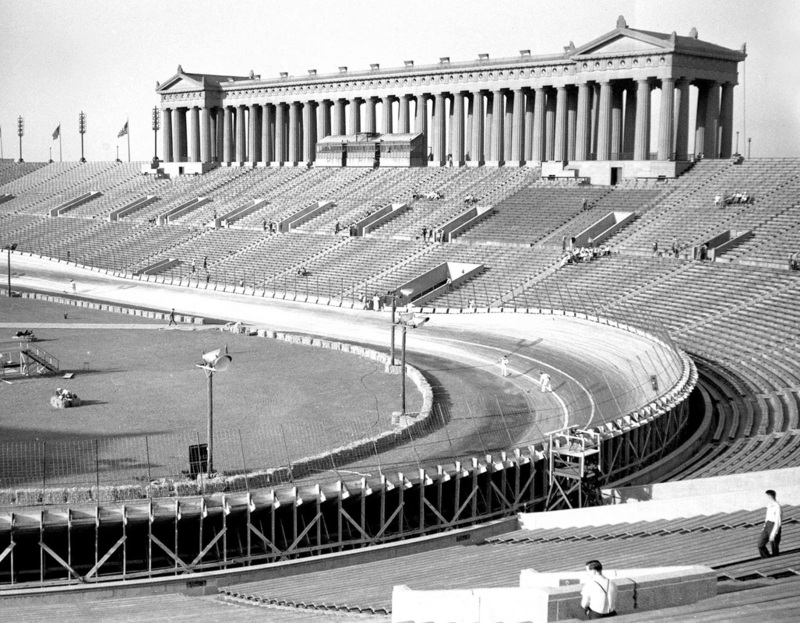 Racing finished at the venue on the 9th of June 1968.